“I do not believe that any man can preach the gospel who does not preach the Law. The Law is the needle, and you cannot draw the silken thread of the gospel through a man’s heart unless you first send the needle of the Law to make way for it. 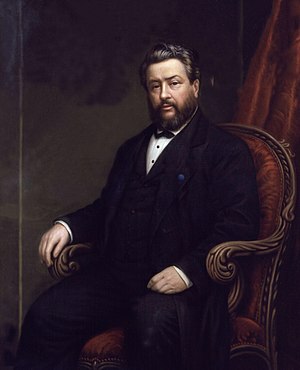 (page 84)” – Charles Spurgeon. Prayer for America – Lord, please raise up people in America to unite together and pray. Please forgive us for being too busy and lack of concern for prayer and the lost in our country. We pray that you will call preachers and evangelists who understand the keys to revival and who are not afraid to preach against sin. We cannot have revival and sin, so please convict the hearts of Americans and the immigrants who live in our great country. Please revive us again before it is too late. In Jesus Name, Amen. Comfort, Ray, Spurgeon God Pure.Refined. Bridge-Logos. 2005.